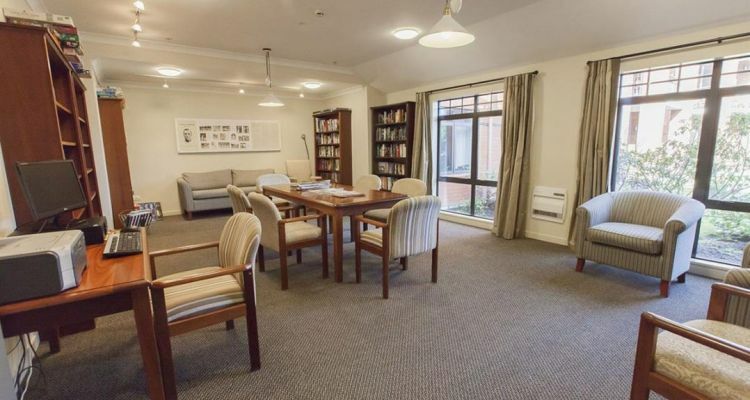 # 32 of 409 Retirement Villages in New Zealand. 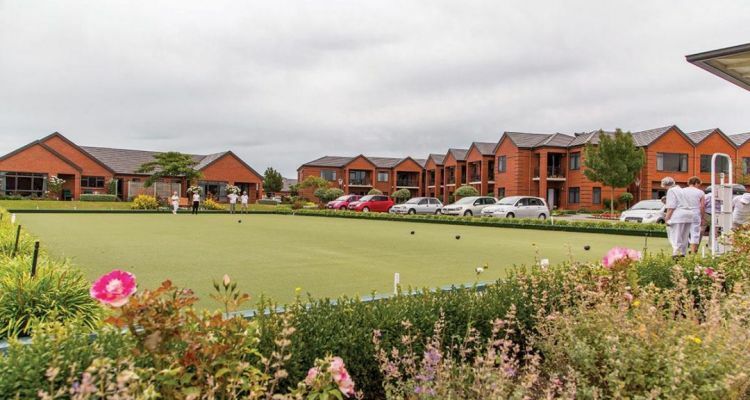 ANTHONY WILDING RETIREMENT VILLAGE located in Aidenfield, Christchurch. 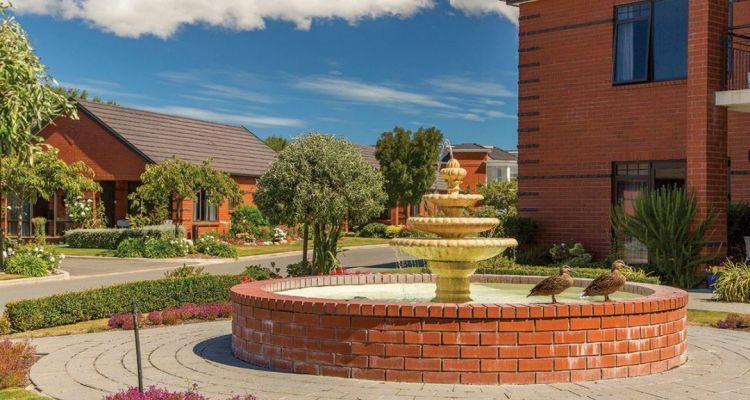 Anthony Wilding Retirement Village, Aidanfield, Christchurch is located in Aidanfield, off Halswell Road. The Ryman website states that "the Village encompasses views of the Port Hills and the Southern Alps." 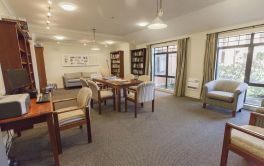 It continues to say that the Anthony Wilding Retirement Village "provides a full range of retirement lifestyle options along with the very best of rest home care from friendly, caring staff." 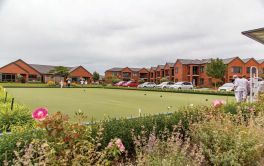 The site adds that "the village features the latest designs in retirement living including architecturally designed Independent Townhouses, Serviced Apartments and a Care Centre set amongst beautifully landscaped gardens." Anthony Wilding Retirement Village consists of 105 Town Houses and 50 Serviced Apartments. 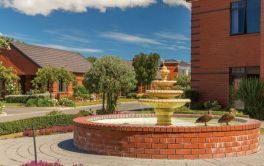 Rymans choice in retirement village name recognises Mr Anthony Wilding, born in Christchurch in 1883. He went on to win 11 tennis Grand Slams, including 4 consecutive Wimbledon titles - and is still the only tennis player from NZ to have won GS singles title. Anthony Wilding died in action, in France in 1915, while fighting for the British Army. × Have you visited this facility? Help others who are looking for a place by posting a review on ANTHONY WILDING RETIREMENT VILLAGE or review a different facility now. John322ANTHONY WILDING RETIREMENT VILLAGEThe best. Great Community Life. Good Activities. it is a great community. Life is good. Activities on a regular basis. Handy Bus Service to Hospitals (3). Weekly fees do not increase!!!! Cold Wind elements. Very wet lawns in winter. Sometimes maintenance gets stalled. No Capital Gains!!!! Would like to see the Bowling Area updated. eg modern artificial surface. Would like to see the Bowling shelter get a metal seat box to store equipment as the wooden one gets damp and smelly as it faces the elements - sou/west. I enjoy living at Anthony Wilding Retirement Village as it satisfies all my needs. 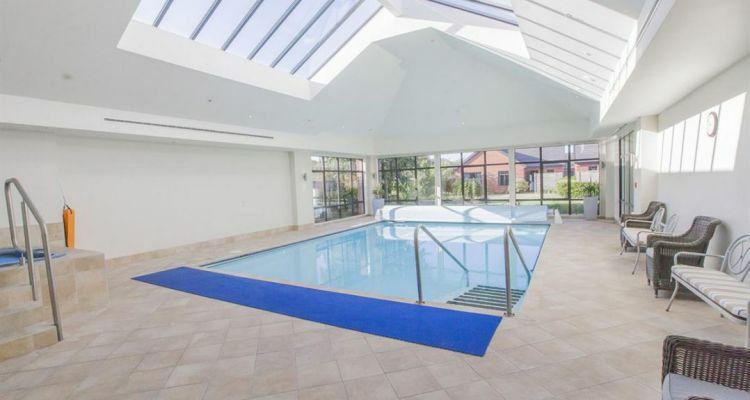 Swimming Pool, bowling green, as well as lots of activities that are there to choose from. The residents are a very happy lot. The bus service is great for the 3 main hospitals. Everything - Staff. Food at Functions. [Name withheld at users request]ANTHONY WILDING RETIREMENT VILLAGENice Neighbours. Management ignoring residents needed requests. Less use of white bread. Bread with fibre, less processing wanted. Sunny Villa with Own Garden. Sunny Villa with own garden. Alarm buttons which will bring nurse. Friendly staff always ready to help. 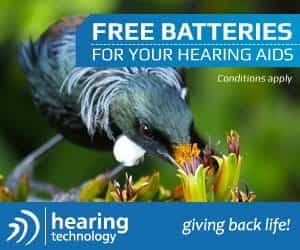 I have peace of mind knowing help is always available. I can come and go as I please. it is quiet and peaceful and I get full sunlight all day. Caring Staff. Just like home - making friends. Great activities. No window in toilet or bathroom but skylights in roof we had installed helped a great deal.